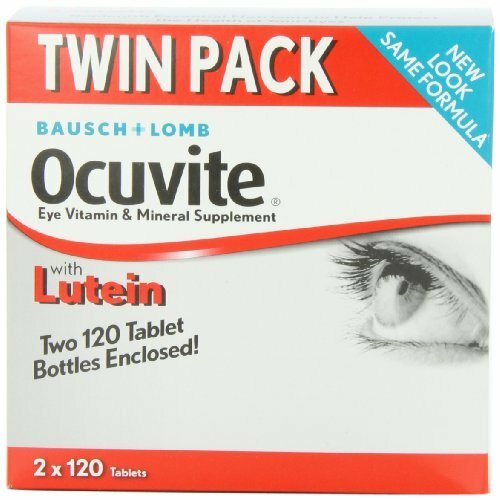 Why add lutein to the formulation of Bausch & Lomb Ocuvite? Lutein is a beneficial carotenoid found mostly in leafy green vegetables, and studies have shown that lutein, part of the pigment in the eye, may protect the eye by acting as a filter of harmful light. People with diets high in lutein may have a reduced risk of developing age-related eye disease. * Derived from marigolds, the 2 mg of lutein in Ocuvite tablets joins other important nutrients such as the key antioxidant vitamins C, E and A (as beta carotene), along with copper, selenium and zinc to help maintain ocular health. Bausch & Lomb Ocuvite - The #1 recommended supplement brand among eye-care professionals. *These statements have not been evaluated by the Food and Drug Administration. This product is not intended to diagnose, treat, cure or prevent any disease.